The best way to combat the damage done to Iraq’s antiquities during the current security crisis is to put more effort into exploring and maintaining the ancient sites that extremists cannot reach, says Abdulamir al-Hamdani , an Iraqi archeologist who was studying at Stony Brook University in the US up until recently. This heritage is about the collective identity of all Iraqis, says al-Hamdani, who returned to Nasiriyah in southern Iraq after completing his studies in the US. Ancient sites in Iraq have not only been damaged by the extremist group known as the Islamic State. After the 2003 US-led invasion that toppled Iraqi leader, Saddam Hussein, locals looted and vandalised many of the areas. Since then the Iraqi military has used areas close to archeologically significant sites and potentially done more damage. Additionally, as locals have pointed out, the Iraqi government’s recent decision to merge the ministries of tourism and antiquities and culture could see budgets for restoration and protection fall even further. “The provincial authorities announced that they would build tourist accommodation and services in a location near the sites but we haven’t seen any progress on this at all,” says Ali Shabib, a member of this group. In fact, this can be attributed to Iraq’s financial crisis, which has seen all but the most essential projects stall. The tourism project was actually officially inaugurated by local authorities at the end of 2014 but has since been put on hold. 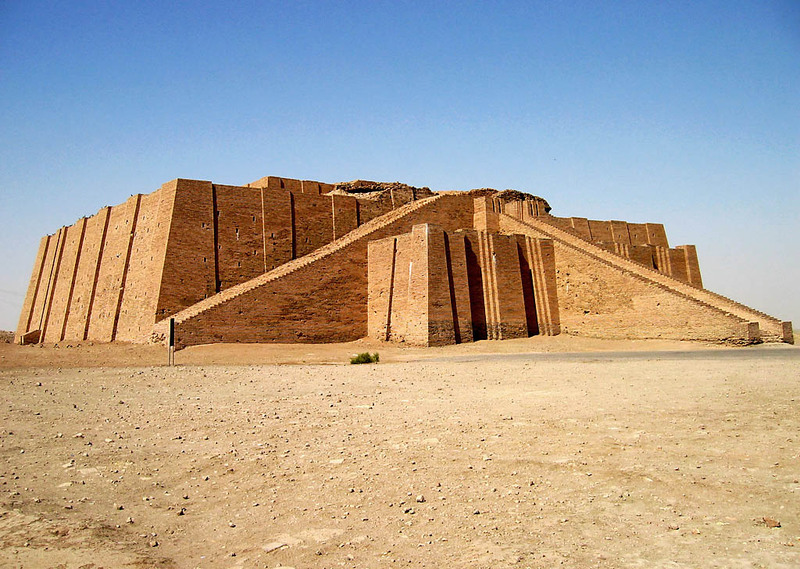 However, more positively, al-Hamdani believes that a renewed interest in Iraq’s archeological treasures is blooming, noting that there are a number of international missions visiting Iraq’s south. And Nasiryah is one of the most suitable provinces for this, with sites dating back to the Persian, Sumerian and Akkadian periods. There are teams from France, Italy, the US and the UK working in Nasiriyah. The French team, the first here for 82 years, has found a variety of ancient items, including seals, that show that the area in which they were exploring was a religious capital. They have since finished their work for the year but are expected to return in 2016. A British mission, headed by Jane Moon, an archaeologist from the University of Manchester, has been in the area for three seasons now. Among the most important finds for the British is an administrative unit, that used to control river transport and the exchange of goods between the ancient city of Ur and others nearby. The Italian mission, headed by archeology professor, Franco Di Agostino, is on it’s fifth round and plans to return again too. This team has unearthed buildings with more than 20 rooms that had served as storage and accommodation, as well as over 20 grave sites. Di Agostino often meets his Iraqi friends in cafes in town when he is in Iraq. He explains to them that the purpose of his work is to try and write what has not been written in local history before. “Humans and their history are important and we should take the utmost care of them,” he notes. Not far away from the Italian team, a group of American researchers from New York University has been digging; they have also been coming here for a longer time and have focused on the area around the ancient city of Ur, terrain that has barely been studied since the first half of last century. All of this international work gives the locals the feeling that there is positive emphasis on their province’s history. “At this time of sectarian trouble it is very important to find the common history that binds all Iraqis together,” says Amir Doshi, who worked as a media consultant for the Italian mission. “Our Mesopotamian heritage can unite all Iraqis,” he concludes.